Very nice view. I like that landscape. I like the lighting…this shot almost has the feel of black and white with the addition of color. (Hope that makes sense!) Really like this photo. Great view, I like these colours. 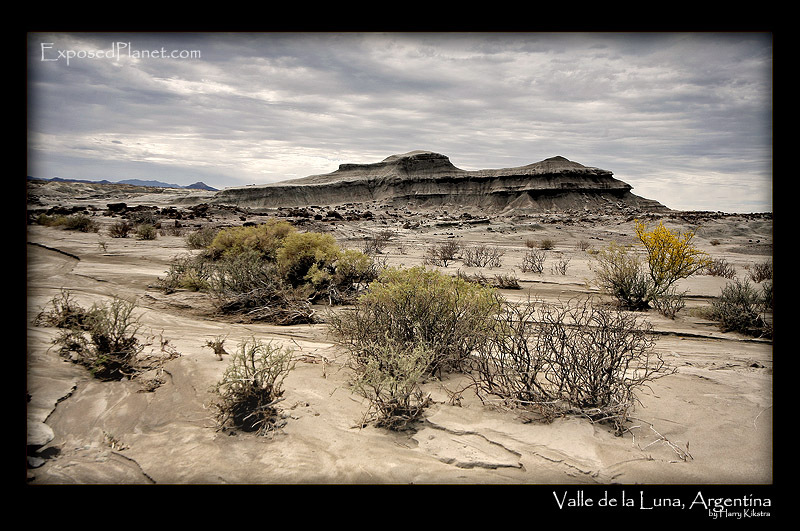 The story behind "Bushes in Valle de la Luna, Argentina"
Valle de la Luna or Ischigualasto is an Unesco World Heritage site, due to the remains of the dinosaurs that have been found, combined with great natural beauty.